Please verify and update your postal and email addresses so that we can stay in touch with you. Here are instructions on how to change your PCA member records or renew your PCA membership. Anticipating the possible landfall of hurricane Joaquin during the first weekend of October, our drive was rescheduled to the first of November. Special thanks to Gary Hagar for his rescheduling flexibility. As usual, he did not miss a beat, and neither did the good food and hospitality of Dürty Nelly's. Those of us looking forward to the traditional combination of a terrific lunch, great conversation, and beautiful rides were not disappointed! After completion of the required paperwork, and our Driver's Brief, Mark and Marty Doherty led us on a spirited drive through some of the twists and turns of Albemarle and Orange Counties, toward Gordonsville and our destination. Along the way, we came to understand more clearly the meaning of faint curving squiggles on road map and just how many one-lane bridges we could cross in one outing! Relieved that their vineyard had not blown away in a category 4 storm, the staff of Horton welcomed us to an afternoon of tastings, a cellar tour, a general history of Virginia wine making, and a proud recounting of the Horton history. Of note, Horton was the first winery in Virginia to grow the Viognier grape, the first to produce Cabernet Franc in Virginia, the first after prohibition to grow our state's only native grape, and (still!) the only Virginia winery authorized to produce and name Port! Who knew? Click here to see the Porsches & Pastrami photos. The Shenandoah PCA hosted their 10th Annual Fall Foliage Tour on Sunday, October 18, 2015. We started out at the Mountainside Grill in Crozet where some of us had a hardy breakfast. We then gathered in formation, 21 cars in all, Porsche after pretty Porsche after pretty Porsche. We wound through the backroads of Nelson County and entered the Blue Ridge Parkway..
Our first stop was at the Humpback Rocks Visitor Center, where we took a quick rest stop. There is an outdoor Farm Museum depicting life the way it was in the late 19th century. A single-room cabin and several outbuildings were collected nearby and reassembled in the area below Humpback Rocks. There is a trail across the road leading to Humpback Rocks. A short moderate hike suitable for the family, not to be missed. We then headed South towards the Country Store. Lots of oohs and aahs. There is also a fish hatchery here. No fishing license required. Just pay for the fish you caught, by the pound. Onward towards Amherst! Once again, we gathered in formation for our final leg of the trip. We drove our last miles on the beautiful Blue Ridge Parkway, then twisted and turned down Route 60 for our final descent into the quaint little town of Amherst, VA.
We enjoyed great fellowship and a fantastic lunch at Travelers Fine Food & Drink! (Click here to see the photos by Linda Sivers, Jeffrey Sivers, and Tim Foster.) We thank our trip coordinators, Deane Parker, Hank Weil and Clint Shuler, for there hard work and look forward to their next adventure! Our PCA members favorite parts of the outing were: seeing all the different Porsches contrasting with the fall colors...the way we drove in unison...beautiful colors...seeing everyone having a good time...good restaurant with good wine...views of the valley and leaves...coming down 60 to town...the restaurant....the time of the year, I loved the parkway...everything, the scenery...the last leg of the road...the down hill twists...lunch...great route, good length drive, very good job...the stop to the restaurant...curvy roads...the turkey on the parkway after the second stop...unsweet tea...the last section of Route 60...the scenery and the people...the !1 people and the beautiful mountains...the country store and the people...the scenery of the blue ridge parkway...the scenic views were lovely...meeting new people...the curvy downward descent! No new members or transfers in or out of the Region. 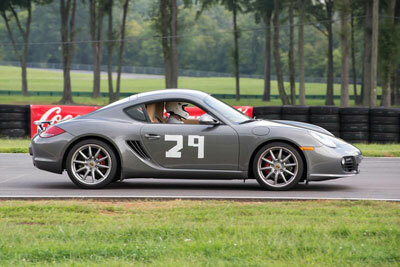 Euroclassics Porsche hosted their annual Columbus Day DE at VIR on October 15. To see photos from this DE, click here. The First Settlers Region hosted a three-day driver's education (DE) event at the Virginia International Raceway (VIR) on Saturday, Sunday, and Monday, September 19—21. The first two days were run on the South Course, and the third day used the Full Course. The Shenandoah Region was well represented by nine drivers: Jim Condon, Eric Huggins, David Israel, John Kessler, Emmett Richardson, Clint Shuler, Bill Speidell, Sherry Westfall, and Joe Wiggins. To see photos from this DE, click here. Congratulations to Clint Shuler, who was promoted from the blue (student) group to the white (solo) group! Clint also upgraded his 2009 Cayman S with seats, harnesses, a roll bar, OZ wheels, and Nitto NT01 track tires. Finally, he bought a trailer, which was appreciated by all who sought shelter when it rained on Monday. Bill Speidell swiftly completed the 2,000 mile required break-in of his new 2016 Cayman GT4 and brought it to the track for the first time. With the 3.8 liter Carrera S engine, GT3 suspension parts, R-compound tires, and the balance of a mid-engine Cayman, this is one fast car, especially on the technical South Course. Bill quickly learned how do drive it well, and he passed nearly everybody in the white run group. There are many curves and no long straights on the South Course, so drivers are always on the gas or on the brakes, thereby heating up their engines and brakes. The double-duty 2007 Cayman S driven by both Jim Condon and Sherry Westfall began to overheat on Saturday afternoon, so they drove it back to Gordonsville in the evening, where Paul Overstreet of Overstreet European Motors kindly came to his shop, took off the front bumper, and cleaned out eight years worth of dirt in and around the radiators. Jim and Sherry drove back to VIR that night, arriving around 1 AM. The cleaning worked, and their engine stayed cool for the rest of the weekend. This is a classic example of racing revealing a mechanical problem that doesn't (yet) show up in highway driving. Your older Porsche may have radiators that are just as dirty — you just don't know it yet. The September 13 autocross at Verona was the fifth and last of the 2015 season. The popularity of our autocross program (run by Rick Ebinger and Erik Boody) continued to grow in 2015, especially among the lady drivers. For the final autrocross, Rick was inspired by NASCAR to design a fast open course with long sweeping turns. Gary Krichbaum had the FTD = 55.413 seconds in his 2001 Corvette. Jonathan Newhall was a close second at 55.681 seconds in his 1973 Porsche 914, and Engelbert Muehlhaupt rounded out the podium with a 56.467 second run in his 1971 911T. Here are the complete results by time and by class. To see the photo gallery covering this event, click here. Check out the photo of Ray Schumin showing what the term "sweeper turn" means, and watch the in-car video of his run. On September 12, Shenandoah PCA members came from around the region for the second tour of the Shenandoah Valley. Click here to see the photo gallery covering this event. We started out in the historic town of Strasburg, VA at the Hotel Strasburg with a multi-course lunch. The food was exceptional and the ambiance was warm and welcoming. After a brief drivers' meeting following lunch, we headed to the parking lot to begin our driving tour. The weather had been wet with torrential downpours earlier in the day. But by the time we headed to our vehicles, the sun was trying to dry things out. Our first destination was the Lost River Trading Post in Wardensville, WV. To our surprise, the manager opened up the town museum for us at the Wardensville Town Center, which had been closed for the weekend. This was an unplanned event that happened because the the manager heard we were in town. We enjoyed looking at the history of the Wardensville area. We walked across the street to the Lost River Trading Post and took in all the unusual exhibits and for-sale items. The next stage was following Trout Run Road to Edinburg, VA. This route was the bulk of the driving tour. We loved the scenery and "twisties," although the rain returned and avoiding road hazards from earlier high winds kept our speeds down. We the entered the Edinburg Mill and its museum to take in Civil War memorabilia and local history exhibits. Our final leg took us to Woodstock, where we finished the tour. The Woodstock Brew House hosted us for an early dinner and opportunity to chat with fellow Shenandoah members and recap the day's activities. The weather was not cooperative for the day but, as usual, the warm friendly fellowship made up for it. Stay tuned in 2016 because planning has already begun for the best tour yet—Shenandoah Valley Tour III. 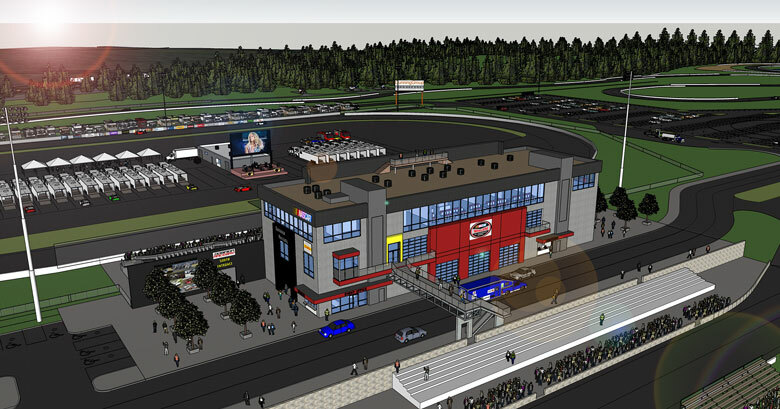 Motorsports enthusiasts in Central Virginia will have a focal point for their shared passion when the $16 million, 160-acre Dominion Raceway and Entertainment opens at the Thornburg exit (Exit 118) of Interstate 95, about a half-mile northwest of the Caroline County line. After clearing a variety of hurdles involved in getting approval of a new racetrack in the busy I-95/U.S. 1 corridor, owners Steve Britt and Jerry Evans have had to battle one of the wettest summers in memory. The work has continued however, and the partners expect to pave the 2-mile road course and 0.4 mile banked stock-car track later this fall and be open for racing in spring. The eighth-mile dragstrip will follow soon thereafter. General Manager Edwin Purdue gave me a tour of the facility in early August, and the general contours of all three tracks had already been carved out of the red clay and smoothed out. Dominion Raceway tower On the day of my tour, work was progressing on the 36,600 square-foot structure that will house concessions, a full-service restaurant, offices and classrooms, and race control for all three tracks. One side of this multi-purpose building will face the road course and the opposite side will anchor the grandstands for the oval track. Excavators were digging a deep trench to allow the road course to dive under a vehicular bridge leading to the infield and contribute to a 60-foot elevation change over the 2-mile-long, 36-foot-wide 12-turn track. Tire safety barriers were already on-site as was a large stack of concrete safety barriers purchased from the organizers of the IndyCar race that was staged in downtown Baltimore for three years. General manager Edwin Pardue, facilities and safety director Richard Storm, and co-owner Steve Britt discuss ongoing construction at the new track. Pardue explained that Dominion Raceway is also designed to be a multi-purpose entertainment complex.There will be a go-kart track in the infield of the oval track as well as a 20-by-50-foot video screen that can be used for race information as well as double as an outdoor movie screen for drive-in movies as well as grandstand seating. A venue for outdoor music concerts is also part of the plan, as are facilities for off-site corporate training, product launches, and team-building retreats. The oval track will feature NASCAR-sanctioned stock car races; and the Sports Car Club of America (SCCA), Porsche Club of America (PCA), National Auto Sport Association (NASA) and motorcycle sanctioning bodies have already asked for road course dates. Pardue said that plans call for stock car racing one night each weekend in the summer and drag racing on another weekend night. The three tracks were designed so road racing and stock car events, as well as stock car and drag racing events can be run at the same time. The road course's 2,700-foot straight will double as the drag strip's return lane. Another feature of the new facility is the Drivers' Club, sort of a country club for people who prefer driving fast cars to golf or tennis. Membership will afford individuals the opportunity to drive their sports, high-performance, and race cars at speed in a safe environment on at least 40 track days a year. This concept has become quite popular around the country over the past two decades. A major question on a "field of dreams" facility of this sort has to be, "If you build it, will they come?" With an estimated 120,000 vehicles a day passing the Thornburg exit on I-95, Dominion Raceway and Entertainment will be one of the most accessible venues of this type on the East Coast. Modern motels, several restaurants, and a shopping center are located within five minutes of the track. For more information on Dominion Raceway and Entertainment, go to www.dominionraceway.com or call (703) 361-RACE. Flow Porsche of Charlottesville and PCA Zone 2 sponsored a Porscheplatz and car corral for the IMSA/Tudor United SportsCar Championship races at VIR on Saturday, August 22 and Sunday, August 23. Click here to see the photo gallery that accompanies this article. The Porscheplatz has a good view of Turn 4 at VIR. The first race on Saturday morning was part of Porsche's GT3 Cup series. Angel Benitez, Jr. in Porsche #5 chased Elliot Skeer in #14 right until the final lap, when Benitez spun out spectacularly at Turn 3 and went into the tire wall. After the GT3 race, PCA vice president Tom Goresuch, Zone 2 Rep Cheryl Taylor, and Flow Porsche representative Jason Robson addressed the audience in the Porscheplatz tent and handed out door prizes that inclued hot laps and a visit to the hot pits during the Tudor race. Next was a practice session for Sunday's race, and an opportunity to walk through the paddock area and see the cars being prepared. The Lamborghini Super Trofeo (their analog of the Porsche GT3 Cup race) ran just before lunch time. Nico Morris, whose weekday job is with Paul Overstreet at Overstreet European Motors in Gordonsville, was the tire meister for Mitchum Motorsports and their gray/pink Lamborghini #84. The main afternoon event was the Continental Tire SportsCar Challenge (CTSC) for smaller sports cars. The #13 Porsche "Rum Bum" driven by Matt Plumb won the GS class, and Spencer Pumpelli's Cayman #17 won in the Street Tuner (ST) class. Spencer must think he is a NASCAR driver, because he did a couple of victory doughnuts in NASCAR band. Bill Speidell parked his new GT4 in front of the Porsche tent, and it drew more attention than all of the other cors combined. On Sunday morning Porsche Motorsports and Michelin tire reps gave detailed presentations and noted that some new Michelin tires cut the Porsche GTLM lap times by about one second; the best laps were just over 1:42! This was followed by the second GT3 Cup race in which Benitez stayed ahead and on the track. Then about 100 Porsches went out for parade laps on the track just ahead of the afternoon's Oak Tree Grand Prix for GTLM (Le Mans) and GTD (Daytona) cars. In the end, Porsche won big in the pro GTLM class, with Nick Tandy and Patrick Pilet driving #911 to victory plus Earl Bamber and Joerg Bermeister in #912 just ahead of the #62 Ferrari driven by Pierre Kaffer and Giancarlo Fisichella. Porsche also took third in the pro-am GTD class. Here are the results for the August 16 autocross at Verona, by time and by class. There was a record turnout of eleven lady drivers. Gary Krichbaum had the FTD = 63.776 seconds, followed by Jonathan Newhall (64.979 seconds) and Rick Ebinger (65.459 seconds). To see the photo gallery covering this event, click here. The "Wild & Wonderful West Virginia Tour" was a three-day (August 8, 9, and 10) joint event organized by the Shenandoah and Blue Ridge Regions. Day one (Saturday) included a drive to the National Radio Astronomy Observatory in Green Bank, a tour of the facilities and of the Green Bank Telescope, and a dinner at the BrazenHead Inn in Mingo. We rode the Cass Scenic Railroad to Whittaker Station on Sunday morning, ran a driving tour in the afternoon, and ate dinner at The Junction restaurant on Snowshoe Mountain. On Monday we drove to the Greenbrier resort in White Sulpher Springs for a tour of their cold-war bunker and lunch at Sam Snead's. The Wild and Wonderful Tour of West Virginia was a complete and satisfying package. The whole thing was superbly planned and organized. I enjoyed the spirited drives on terrific roads, with many twists and turns through gorgeous scenery. The camaraderie of the attendees was a welcome bonus. My wife, Myrna, and I attended only the first day of the three-day tour. The visit to the National Radio Astronomy Observatory in Green Bank was interesting. Jim Condon served as an excellent guide. His presentations were fascinating and illuminating. Everything we learned, experienced and enjoyed that day made the long drive from the Baltimore area worthwhile. After resting overnight at the Snowshoe Resort's Rimfire Lodge, Myrna and I relished the drive home on more of West Virginia's wonderful back roads. Click here to see Jim Condon's gallery of digital photos from this tour. Click here to see Alex Sullivan's photo gallery from Saturday and Sunday. Click here for a movie/photo collage from Victor Friedmann. Click here for photos contributed by Chip Williams, Karen Knapp, Janet Matthews, Aniano Arao, and Dave Hogan. Here are four rolls of photos taken with disposable film cameras in Green Bank, where digital cameras are not allowed near the telescopes: Roll 1, Roll 2, Roll 3, Roll 4, Roll 5, and Roll 6. The Shenandoah Region PCA celebrated its first 20 years with a driving tour to a party at the beautiful Nelson County farm of members Steven and Denise England. (Click here to see the gallery of photos covering this event.) Most of us started at the Mountainside Grille in Crozet for the scenic drive to our destination, where we were startled to see three 356's facing us from the top of a dam. We parked our Porsches in neat rows on the hill leading down to the pond, although the weather was warm enough that most people ended up under the shade of a huge oak tree. Others went into the lunch barn to see Shenandoah Region memorabilia ranging from early newsletters (the "No Name Yet Gazette" and later "The Heat Exchanger") to results from the 2015 Porsche Parade (three concours winners, plus a first place for the Shenandoah Region website). An excellent barbeque lunch was followed by presentations by PCA national secretary Cindy Jacisin, first Shenandoah president Cole Scrogham, and Zone 2 representative Cheryl Taylor. Deane Parker's restored 912 (a Weissach Award winner at Parade) took the People's Choice award, and the long-distance award went to Larry and Carmen Markley from Alaska! Here are the results for the July 19 autocross at Verona, by time and by class. There was a large turnout of 53 drivers, eight of whom were ladies. Gary Krichbaum had the FTD = 55.365 seconds, followed by Jeffrey Elmore (56.596 seconds) and Jonathan Newhall (57.026 seconds). To see the photo gallery covering this event, click here. Long-time autocrosser Eric Huggins just sold his 1988 911, so you won't be seeing it again. The First Settlers Region spring DE got bumped from May to July this year, and it was only a two-day event instead of the usual three. Fortunately the sky was partly cloudy for most of the weekend, so the track was dry but not too hot. Click here to see photos from this event. 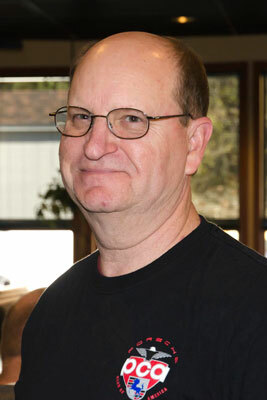 Congratulations to Bill Speidell, who was promoted to the white (intermediate solo) run group. This may be his last DE in his 996; he has a GT4 due to arrive in August! Eric Huggins drove his 911 Carrera so fast that the "4" from his number "14" blew off near Oak Tree. Don Coleman brought his BMW because his supercharged 996 had an engine fire at Watkins Glen and is currently in the hospital. 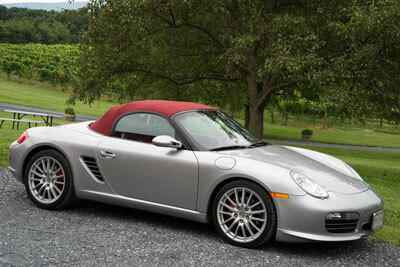 Sherry Westfall and Jim Condon shared their Cayman S; they have sold their arena red 996 "ELFER". Other Shenandoah Region drivers at the DE included Emmett Richardson, David Israel in his recently purchased 996 GT3, and Hamish Brookeman. Rachel Clark instructed but did not drive. Tom Bobbitt (friend of Shenandoah) brought his new 991 GT3 with the 9A1 engine and a "NO MEZGR" license plate. The 60th Porsche Parade was held in French Lick, IN from June 21 through 27. French Lick is a 19th century mineral springs resort town whose two main hotels were taken over by PCA members and their 1000+ Porsches. The first major Parade event is a concours, which normally takes place outdoors. However, tropical storm Bill flooded the hotel grounds, so the concours had to be moved indoors to two parking garages and a large tent. Shenandoah member Hank Weil played a big role in organizing the concurrent Historics display. Shenandoah also has three concours winners: Hank & Jolly Weil's 1994 911 Speedster, Weldon & Phyllis Scrogham's 1965 911 coupe, and Deane Parker's restored 1969 912. To see the gallery of Parade concours photos, click here. The RPM autocross took place on Sunday, June 7 at the Southside Speedway in Richmond. Here are the results, by time and by class. Bobby Smith's 37.877 seconds was the FTD, and Jeffrey Elmore turned in a very respectable 38.358 seconds, only 0.481 seconds behind Bobby. To see the photo gallery covering this event, click here. Click here to see autocross photos by Mike Early. Click here to see the 2015 RPM photo gallery covering the concours, the gimmick rally, and the awards dinner. Shenandoah member and pro photographer Michael Early also provided some excellent photos from the RPM concours and the RPM autocross. Click here to see them. More of his photos are also available here. The first "official" autocross of the 2015 series was held on May 9 at Verona. Click here to see John Schmidt's photo gallery. Here are the results, by time and by class. On May 3, 2015, Porsches & Pastrami featured a concours judging school before lunch and a People's Choice car show afterwards. Dave Lasch, our chief judge, explained the judging criteria used at RPM. The RPM concours is low-key and fun, so the main criteria are the three C's: Cleanliness, Condition, and Care. 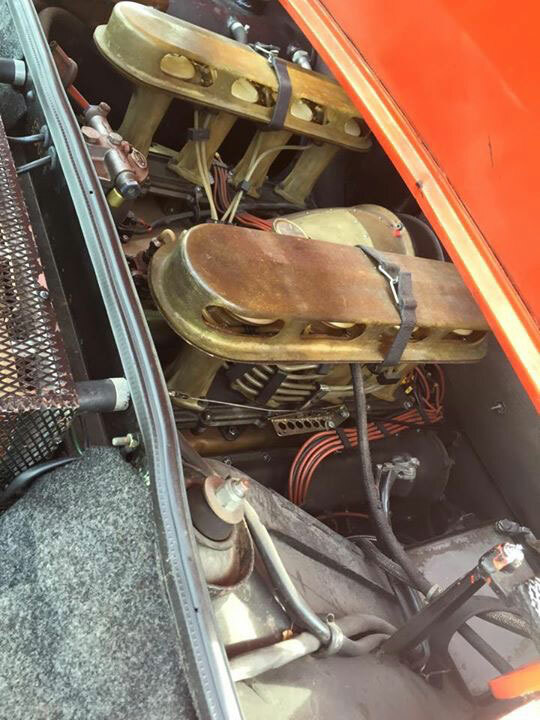 The RPM concours is "tops only," but enclosed areas such as the gas filler compartment have to be clean. Condition covers things like paint scratches and dashboard cracks. Care reflects the effort put into detailing the car, as indicated by whether the areas inside the raised script are clean, for example. Correctness is not emphasized at RPM — the judges won't concern themselves about whether new bolts on a 356 engine are exactly the same as the originals. The People's Choice car show ended in a tie, with both winners being wide-body 911's — Iain Fraser's 930 and Hank Weil's normally asprirated 911. Click here to see photos of this event. On Saturday morning, April 25, Paul Overstreet hosted a tech session on transaxles at Overstreet European Motors in Gordonsville. He took apart a Porsche G15 transaxle used in 911s through 1986 (when the G15 was replaced by the G50) and gave a clear and complete presentation on how such a transaxle works. His large audience of gear heads paid close attention. To see some photos from this event, click here. After the presentation, the foodies among the gear heads had lunch at the nearby Barbeque Exchange restaurant. Wordplay is the team trivia contest held annually at Charlottesville's Paramount Theater to benefit the Literacy Volunteers of Charlottesville/Albemarle (LVCA). The LVCA teaches English speaking, reading, and writing to adults. Each team of three members contributes $500 to play, and there were about 50 teams this year. Our team, the Shenandoah Porsche Gear Heads, consisted of Kim Butcher, Deane Parker, and Janet Matthews. In addition, Maureen Overstreet works for the LVCA, Paul Overstreet is a volunteer helper, and Vani Parker is a volunteer teacher. The competition is spirited, and some teams dress up in costumes. To get the flavor of Wordplay, click here to see the photo gallery of this year's event. Some of the teams have been coming for many years and practice in advance to hone their trivia skills. Sherry Westfall served as the scorer for the winning team, "That's What She Read." The "Murrica the Beautiful" team won for the best costumes, and the "Glenmorons" from Glenmore had the winning team name. The Shenandoah Porsche Gear Heads placed 22nd in the trivia quiz, a significant jump from the performance of our rookie team last year. Next year maybe we can wear costumes and think up a catchier team name. Suggestions are welcome. The first autocross of the year is not a competition, but rather an opportunity for new drivers to learn the basics of autocross and for experienced drivers to test out their new cars or equipment modifications, and make adjustments. Rick Ebinger designed an open course that was both fast and easy to follow. After he led an explanatory track walk, he divided the drivers into two groups to practice on different parts of the course. Finally, everybody got to drive three runs on the full course. Click here to see photos of this popular event, which took place on April 11. There were no transfers in or out in March 2015. The winter had been far too long, cold, and snowy. So when the New Kent Scenic and Winery tour event popped up on our Facebook page taunting us with the promise of sunshine, wine, and open-topped driving we could not resist the sirens' song. The Shenandoah PCA members arrived at Maria's Pizza and Italian Eatery anxious for some open road driving and much needed Vitamin D. After a few refreshments and the obligatory rules and regulations talk, we were ready to mount up and hit the road. New Kent County is full of historic charm boasting some of the oldest roads in America that once carried the French, British, Revolutionary, Confederate, and Union armies. On this sunny day a brigade of German Special Forces were carving through New Kent Highway soaking up the scenery and beautiful weather. Click here to see the photo gallery for this event. After a brisk 30 minute march, we crept up a winding gravel driveway which opened up to a stunning wooden winery surrounded by acres of vineyards. Saudé Creek Vineyards opened in 2011 and has only recently been able to use the grapes grown on their property. The tasting room is warm and natural, with a huge tasting bar and fireplace. The upstairs room had been booked for our use and the second floor balcony afforded amazing views of the Pamunkey River, West Point, and stunning Virginia landscape. We chose to do the cellar tasting which included a tour and some reserve wines. After the tour, we took a bottle of wine to enjoy on the balcony while chatting with fellow members. It was a great time to catch up with recent VIR happenings and learn more about our new friends. It was a wonderful way to spend the day; though when you mix top down Porsche driving and beautiful scenery, you really can't go wrong. The March 13–15 Zone 2 DE (Driver's Education) at VIR sold out again because it is the year's first chance to satisfy the "need for speed" after the long winter away from the track. The tradeoff is uncertain March weather. This year, Friday was damp but not wet, and the track was pretty fast. Saturday was on-and-off wet, so cars with groovy tires went out and cars with slicks mainly stayed in the garage or trailer. On-and-off wet can be tricky because parts of the track are grippy and parts are slick. Even after last year's repaving, the most treacherous part of the track is still the "snake" between Turn 5 and the Bridge Straight. On Saturday the snake bit about five drivers who went off fast enough onto the slippery wet grass to contact the tire wall. We were all grateful for Bob Brown's tent to keep us reasonably dry. Finally, Sunday was perfect. The sun was shining all day and the track remained comfortably cool, unlike the hot sunny days of summer. Click here to see the photo gallery of Shenandoah members at this event. All of these photos were taken on Sunday. Ten Shenandoah members were driving: Cam Abernethy, Bob Brown, Jim Condon, Matt Einstein, David Israel, John Kessler, Emmett Richardson, Clint Shuler, Sherry Westfall, and Joe Wiggins. 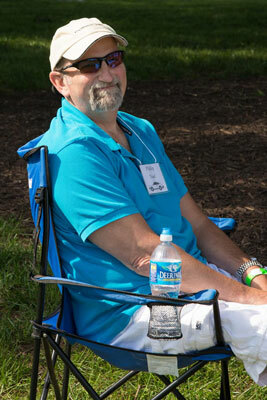 Kudos to Bob Brown, who was promoted to the "blue" group. Matt Einstein drove his Macan Turbo with track tires. The tires survived Matt's hard charging, but the brakes did not. Matt is hoping to show up at the next event in a Cayman GT4. Instructor David Israel rode with Sherry and helped her prepare for moving up to the "black" group. 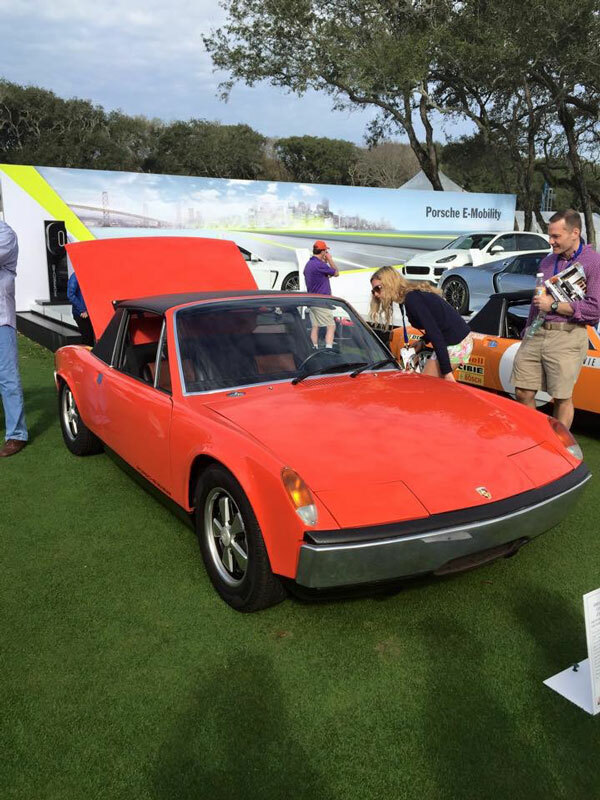 The Amelia Island Concours made incremental improvements in each of the six years I have attended. But the 20th annual event March 14 promised to be something special and did not disappoint. I came close to scratching it off my calendar since I "unretired" and started a new job as editor of the Caroline Progress in Bowling Green March 2 and my usual Florida "double" of Amelia's car show followed by the 12 Hours of Sebring a week later was out of the question. Fortunately, a couple of Porsche Club pals, Bates McLain of Madison and Dan Graff of Columbia, decided on the spur of the moment to make their first trip to Amelia. So we met in Ashland at 5 AM Friday morning, packed up my 200,000-plus miles Mitsubishi Endeavor with clothing, bottled water, and snacks and arrived back 67-hours and 1,400 miles later, tired but sated, having ogled approximately 500 exotic, classic, and sportscars and motorcycles. 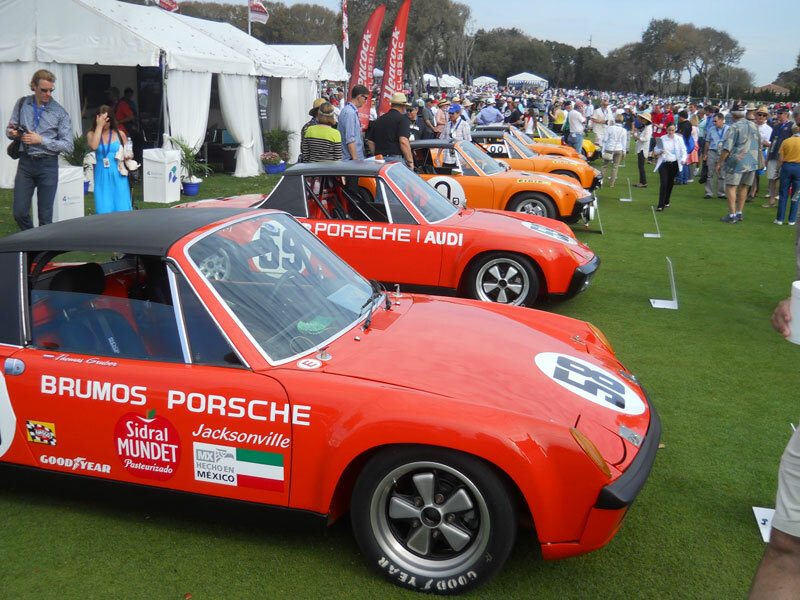 The concours at the Ritz Carlton golf resort outside Jacksonville has blossomed into a four-day festival of the car, and there was plenty to see when we arrived about 3 PM Friday. As the seasoned vet I guided the newbies to my annual "garage tour" to see what lurked in the hotel's dimly lit bowels. There we found Floridian Bill Emerson on his back, cleaning the underside of his 1964 WSM Sprite GT, having just returned from the annual Road Tour which was on rain-dampened roads. This little gem was the first of the weekend's "cars I have never seen before," an Amelia tradition. We asked if it was a Sebring Sprite and Bill corrected us, set aside his cleaning supplies, and gave us a seminar on the British WSM marque and pointed out his car's unique features. A row over from the maroon WSM was a 1930's Bugatti in French Racing Blue and a silver 1965 Lamborghini 350GT — true automotive elegance three decades apart. Many other classics and exotics were slotted in between daily drivers and hotel guests' rent-a-rides. Down on the next level my fellow Porschephiles spotted Patrick Dempsey's Tudor Sports Car Series Porsche GT Daytona in Brumos livery next to an orange Porsche 914 with some subtle styling differences and a Porsche Museum tag where the license plate should be. 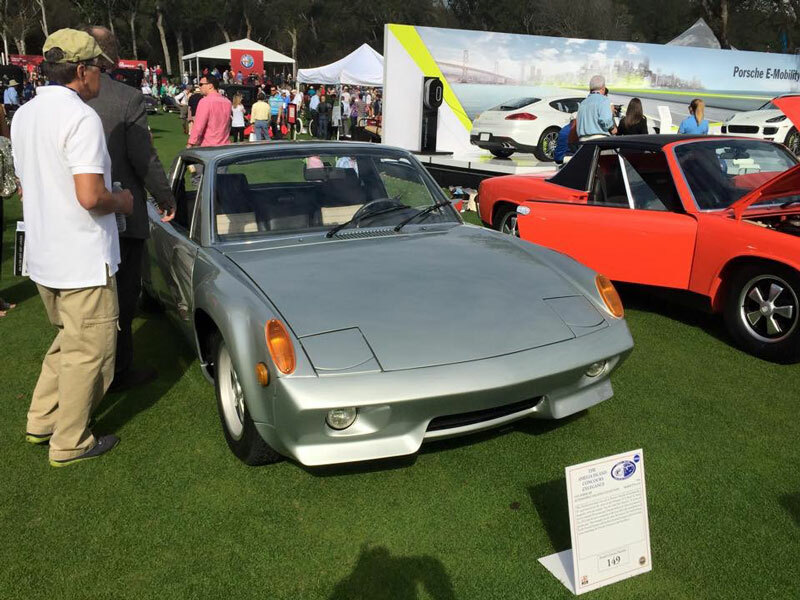 It was a mystery that would be cleared up at Sunday's Concours, which had 914s as a featured model. 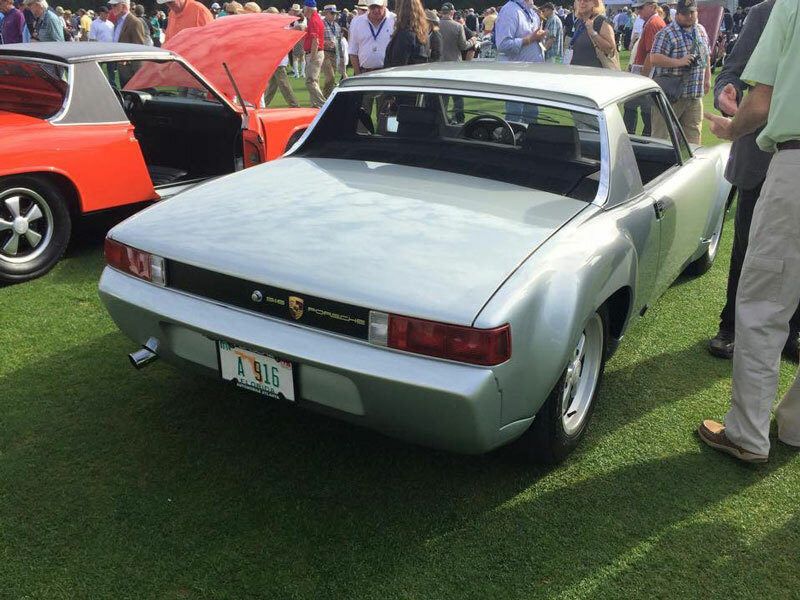 It was the one-off 1969 Porsche 914/8, sporting a flat-8 cylinder motor from the all-conquering 908 racing car and still owned by the Porsche family. A true wolf in sheep's clothing. Would that be a blast to drive in an autocross or track day? After the garage tour we emerged into the sunlight and headed for the oceanfront and checked out the display of classics and oddities that would be auctioned off by RM Sothebys Saturday: Ferraris, Jaguars, classic Packards and Cadillacs, Aston Martins, an Alvis, a '30s MG, even a '50s Morris Minor "Woody," Fiat Topolino, and BMW Isetta. All were jammed into a circus tent or arrayed outside among the palm trees and elegantly landscaped hotel grounds. Next up were the displays of booksellers, vendors of auto memorabilia, and high-end wristwatches, etc., in the hotel lobbies and ballrooms. My herd of cats split apart among the rabbit warren of rooms with cool car stuff in them. I spotted PCA Shenandoah members Weldon Scrogham (an Amelia Judge for 19 years), Alex Smith, and Deane Parker in the hotel that day or the next. And I bumped into Rick Ebinger and friend Susan Bryant on Saturday at the Alfa Romeo display. We were well-represented. As Friday afternoon eased toward evening, Dan caught up to me and said Bates had been babbling incoherently: "Treasure trove of cars, I found a treasure trove of cars!" And, indeed he had. In the hotel's grand ballroom were the cream of the crop among the auction cars, tastefully arrayed for that evening's bidders cocktail party. And what a display: 1955 D-type Jaguar, Jaguar XJR-9 LeMans racer, 1972 Ferrari Daytona Spyder, 1989 Porsche 911 Speedster, 1934 Bentley 3.5 liter, 1930 Cadillac V-16, 1927 Stutz 8 Black Hawk, 1931 Cord Convertible, 1967 Shelby Cobra, Type 38 Bugatti, and more. I counted eight Porsches and six Jaguars in the auction lot, which broke the RM Amelia record of $60 million in sales. The D-Jag fetched $3.7 M, the XJR-9, which was driven into the auction by driver Davy Jones, $2.1 M, and the Daytona Spyder $3.3 M. Way too rich for my blood, I am afraid. The Saturday morning Cars & Coffee event drew more than 200 enthusiasts with their pride and joy rides, including about 60 Porsches, 40 Corvettes, and large representations of Jaguars and BMWs. This admission-free event is a casual, "show-what-you-drove" gathering, although many of the cars would be welcome at most local and even national concours. My herd of cats again scattered after C&C and I wandered back onto the cleared 10th fairway to sit a spell while my companions hiked back to the SUV to charge their cell phone/cameras. This was lucky for me as this year they closed off the fairway to us peons minutes after I strolled in. When I spotted Amelia originator Bill Warner atop a very tall stepladder, a camera around his neck, I figured something was up. Warner was artfully arranging two dozen cars driven by event honoree Sir Stirling Moss during his legendary career, not an easy task when shouting orders to the wealthy owners of these priceless classics. Acting like I knew what I was doing, I hung close to the ladder while all of this was going on and snapped away with my venerable Nikon Coolpix, which is held together by duct tape and a large rubber band. And what a collection it was: a trio of Mercedes-Benz race cars from the mid-50s, including two F-1 cars and the very 300SLR #722 that Moss drove to victory in the grueling 1955 Mille Miglia, a 1958 Vanwall, 1958 Aston Martin DBR/1 LeMans car, the 1954 Sebring-winning OSCA, a 1960 Porsche RSK, and a trio of Maseratis and Ferraris, and four Jaguars (a 1953 C-Type, a 1954 D-Type, a 1958 Ex-Briggs Cunningham Lister-Jaguar, and the XK120 in which Moss won the 1950 RAC Tourist Trophy race on the eve of his 21st birthday). Moss then appeared and posed for the group reunion photo, as did Lady Suzie Moss. Moss, now 85, then started posing with individual cars until his protective spouse put her foot down and they were whisked away by golf cart. I can safely say I will never again see that particular assemblage of cars in one spot. I was lucky to have been there. 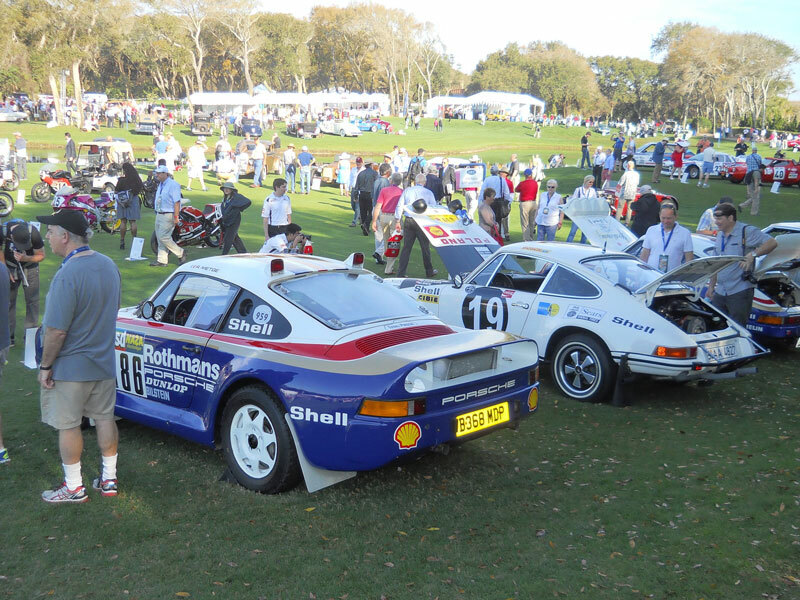 Oh yes, they did hold that 20th Annual Amelia Island Concours the next day, and we were there as well. I think I saw most of the 200 wonderful cars and motorcycles on display Sunday, but I always realize later on that I somehow skipped one entire row. In addition to the Moss cars, there was a special display of Lancia Rally cars, Stutz motorcars from the '20s and '30s, "Forgotten Fiberglass" kit cars from the 1950s, five categories of Sports and GT cars from the 1930s through the 1970s, two Rolls Royce categories, Hot Rods, Duesenbergs, three groups of American Classics from 1920-1941, antique cars from 1895-1915, Porsche 914s and assorted other Porsches, Jaguars, Corvettes, Chryslers, Motorcycles, and Ferrari F-1 cars including two driven by Niki Lauda! In truth, after about three hours of intensive car watching Sunday my feet were sore, my knees screaming, and I had sweated out at least four bottles of spring water. I was ready to go when my two Amelia rookies called it quits. Just as I walked out the side gate, I got a call from Keith and Jeanne Welty, who had just arrived at the front gate, adding to the PCA-Shenandoah delegation. Because of post-Daytona Bike Week and Spring Break traffic, the journey back took us about three hours longer than the one down and I was happy to have two skilled co-drivers. At work Monday morning I commented that I felt like a zombie, albeit a happy one. 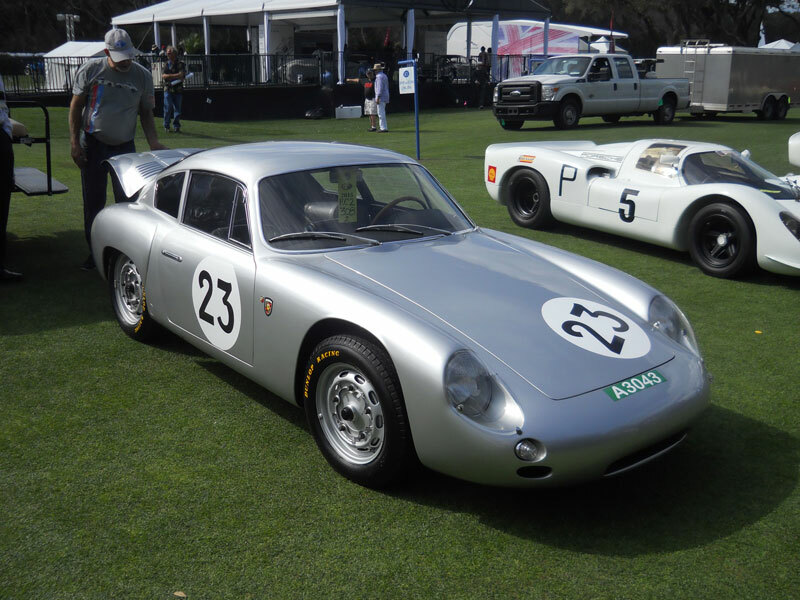 The 21st Annual Amelia Island Concours d'Elegance will take place next March. Click on any small photo to enlarge it. 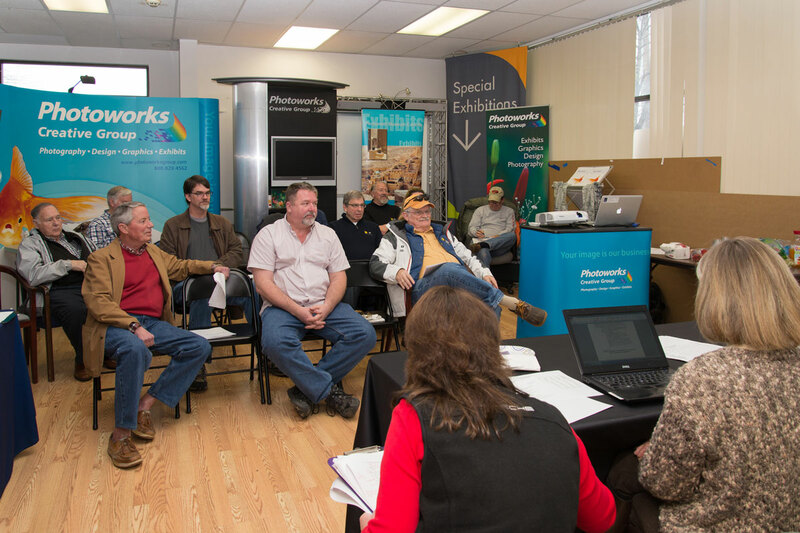 There was still snow on the ground for the March 8, 2015 Porsches & Pastrami event, and it was cold when the volunteer workshop began at 10:30 AM. Sherry led the workshop inside Durty Nelly's, where Gary Hagar kept the fire burning and the coffee hot. Sherry explained the basics of running events, starting with insurance waivers and driving standards, and progressing to greeting newcomers and handling questions. Click here to see the photo gallery for this event. By the time most members arrived for lunch, the sunshine had warmed the air to springlike temperatures. After lunch, many of use gathered outside in the parking lot of Durty Nelly's to talk and admire the collection of Porsches (plus Cameron Caswell's BMW bike). Bruce Russell's Guard's Red Carrera was gleaming as usual, and Bates McLain showed up in a recently purchased 951 that looks almost new. Dan Ehrman just bought a much-needed car cover for his blue Boxster with the unusual "cat's paw" paint. At about 2 PM we started our scenic drive through rural western Albemarle County, going west on Garth Road and then turning north on Route 810 at Whitehall, and finally ending up at the Glass House Winery just north of Free Union. Although much of the ground was covered with snow, the roads were clear. By the time we reached the Glass House Winery, the temperature was high enough for us to sit on the porch, soak up the sunshine, and drink some wine. It turns out that Geoffrey and Denise Kilmore are locals who live at the foot of the small mountain just across the road. Their expert recommendation is the Glass House Viognier, a bottle of which is shown in the photo gallery. All in all, this relaxing event was just what a P&P should be, and a good opportunity to get the Porsches out of the garage after being cooped up over a long and snowy winter. 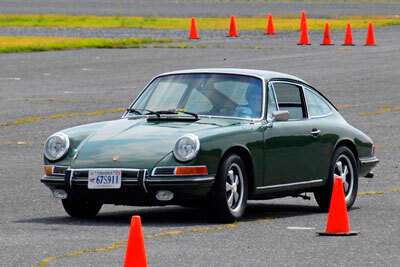 Phillip Noel, the Vice President of Porsche Club of America's Shenandoah Region, ran through a variety of Japanese sports cars before stepping up to a Porsche. However, now that he took the Porsche plunge and became a member of PCA, he says he doubts he will ever develop allegiance to another brand. He and wife Sue have become integral members of the Shenandoah Region and relish the new friendships and social life that this has opened up for them. "I started buying (Datsun/Nissan) Zs in the 80s," Phillip said. "I had an '83 300Z Twin Turbo, and my last one was a 350Z. "But I know now that the Porsche is the best car. With other vehicles I was always looking to upgrade. With a Porsche, I've got one and I plan to hang onto it," he said. When he went hunting for a new Porsche, Phillip had one particular model in mind, the limited edition Boxster RS 60 Spyder, of which only 1960 were projected to be built, some 800 of them coming to our shores. 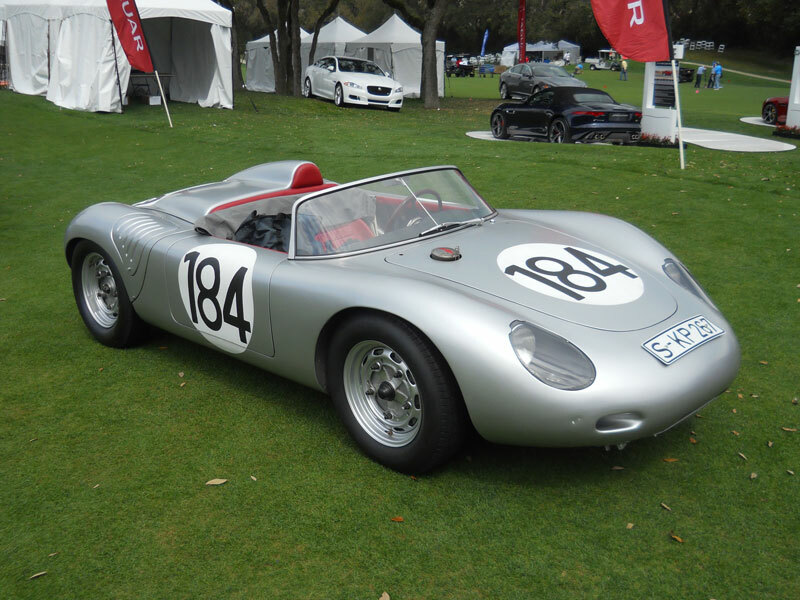 An evolution of the 550 Spyder, that original RS 60 was dubbed the "Giant Killer" because it elevated Porsche into the top rank of sports-car endurance racing, defeating the larger-displacement Ferraris, Maseratis, and Jaguars of the day. A Type 718 RS 60 in the hands of Hans Herrmann and Olivier Gendebien took Porsche's first overall win in the 12 Hours of Sebring in 1960 and won the 1960 Targa Florio driven by Herrmann and Jo Bonnier. Porsche finished a close second to Ferrari in the World Championship, and many more race wins and championships followed. The modern Boxster RS 60 came only in German racing silver paint and sported other styling clues such as 19-inch SportDesign wheels that fill the arches and a windshield trimmed in black. 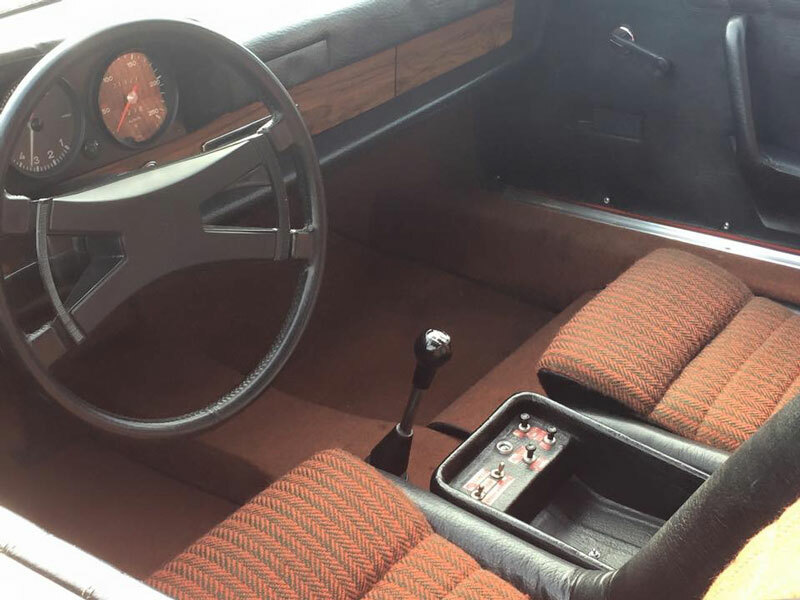 Interiors were available only in dark red or gray leather, and the cars came with only a matching dark red or black top. Being a limited edition, the 2008 Boxster RS carried a premium pricetag to match. Although an artistic and public-relations success, the RS 60 was so close in price to the 911 models that many of them languished on showroom floors when Phillip went shopping. "It was to my advantage," Phillip said. "There were two of them around here and dealers were discounting them around the country." The words "bargain" and "new Porsche" are rarely found in the same sentence, but this was the case with the RS 60 deep into its model year. After viewing 35 photos of the one he settled on, Phillip bought it and "a truck pulled up to to my front door" he said. Since it was a new car, a pre-purchase inspection was unnecessary, he noted. Less than three months after purchasing his Porsche, Phillip became a member of the Shenandoah Region, and that was another good decision, he noted. "I figured I would learn more about Porsche history by joining and then found out that the people in the region are just incredible," he said. Although Sue doesn't drive their Porsche, she enjoys riding along on events and also formed many friendships in PCA. "She loves our ice cream runs on Sundays as well," Phillip said. The Noels lead busy lives. They live in Woodstock, Virginia in a log home. "I gutted it and have been working on it for 16 years," he said. "I have one bathroom left to finish." Phillip has three daughters and five grandkids. Both of the Noels are in the medical field. He is a certified nurse anesthetist in Winchester, and Sue is a school nurse at Strasburg High. Sue still runs the Shenandoah Region Goodie Store with Phillip's enthusiastic help. He has his eye on some new items that will be added soon. The Noels have helped plan several club drives and look forward to doing more, contributing their knowledge of some great roads on the western side of the Blue Ridge. Although they are located on the northwest edge of the Region, that has not stopped the Noels from being quite active in PCA. "This year I want to try to make as many events as possible," Phillip said. When not out enjoying his Porsche, Phillip enjoys biking, hiking photography, hunting, fishing, and, of course, homebuilding. His tastes in music, he said, range from "Christian music, followed by Classic Rock and pure Jazz." As to our stock Member Moment question about what car he would buy if cost was no issue, Phillip replied, "I'd really like to get a 911 Turbo. I may get a 911S, probably sometime after I retire," he said. Right now, however, he is quite content with his limited edition Boxster RS 60. I wasn't really doing much over the winter as it is really too cold for me to go out driving my new (to me) Boxster S and decided it might make sense to drive up to Charlottesville for the Shenandoah Region PCA "2015 Kickoff Meeting." Since it seemed to be billed as a planning meeting to talk about the upcoming year's activities, I figured there would be a pretty fair representation of the membership. That would give me a chance to meet a number of the members, as well as see what was going to happen over the next 12 months. I thought it would be well worth the almost two hour drive in the rain each way from my house to Charlottesville. My first surprise was that there were only about 16–18 folks in attendance, and that included the 5 officers that were in the front of the room. I had sort of thought that with over 200 primary members that more would have attended the initial planning meeting for the year, but I guess the weather and holiday weekend kind of cut into the attendance. Carey, Lynne, & Sherry The Members The Lunch—Thank you, Raif! The folks that were there were all very friendly and made me instantly feel that I was part of the club. 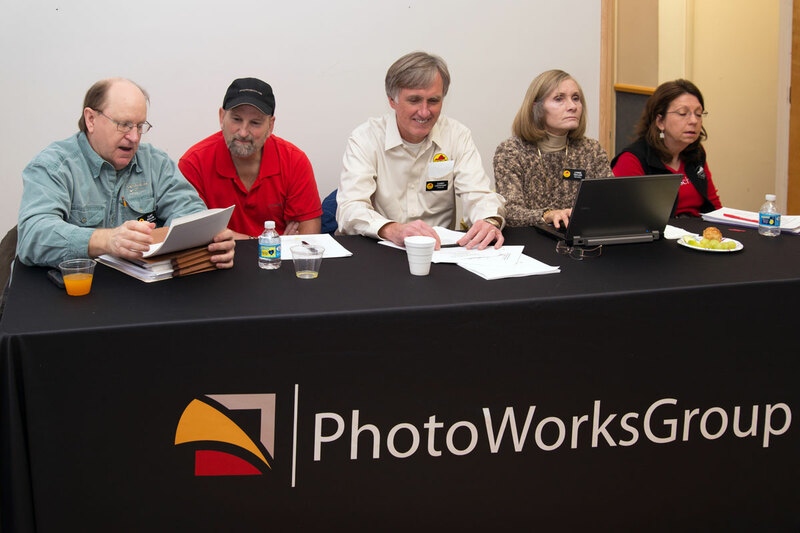 It was very nice of Mike Kilmer to provide the facilities of PhotoWorksGroup as a place to meet. It was very comfortable and was a great room for the ensuing discussion. Clint Shuler welcomed us all to the session and started off the discussion off with "Old Business" and a brief review of 2014. It was great to hear about how active the club has been and plans on continuing that high level of activity going forward. It was not surprising to me that Jim Condon had received a very prestigious award for the web site. I spend more time on the web than I should and was very impressed with my first visit to the Shenandoah Region web site. It was easy to navigate and filled with just the kind of information and guidance needed. And, most importantly of all, it was current! Next Carey Lockhart took us through a financial review, and it was great to see that the club is pretty solvent. That tells me that supporting the planned activities for 2015 is pretty doable. Hank Weil took us through the membership information, and I was impressed with the total membership of over 400 folks. That should indicate that the events would be pretty well attended. [Well, except for this initial meeting :-) ]. I was interested in the discussion about dual memberships. Not because I am interested in a dual membership, but because I live near Richmond and am one of those folks not really in the center of things with either Shenandoah or First Settlers. Typically a source of those folks that would be interested in a dual membership. Jim Condon then took us through a pretty detailed tour of the website, and I learned that it is much richer in content than I had originally thought. That award was very well deserved. Clint then talked about the number of committee chairs and other positions that need to be filled. Open positions for 1) Social Events Chair, 2) Historian Chair, 3) Social Media Chair (there was someone that had expressed interest in this but it wasn't resolved quite yet), 4) 20th anniversary planning committee Chair, 5) Tire Rack Street Survival for Teens committee Chair, 6) Ingram Collection tour planning committee Chair, 7) lots and lots of volunteers for lots and lots of different things for RPM, 8) Porsches and Pastrami committee Chair, 9) Turkeys in the Trunks committee Chair to coordinate with First Settlers Region's well-received program, and folks to help plan for anything to do with the new Dominion Track off I-95, Insurance Institute tour, etc. It sounds like if the club is going to stay active and vibrant, there are a number of positions that need to be filled to make that a reality. I must admit that I am not ready to volunteer for a chair role until I understand a bit more about the club, but I did volunteer for a support activity with RPM since that is right here in my neck of the woods. Clint ended the meeting by going through the calendar on a month-by-month basis. Most of the dates for autocross were firmed up, the need to jump on any DE date before they filled up was discussed, the plans for RPM were outlined, and some "place-holder" dates for a number of club drives were established. 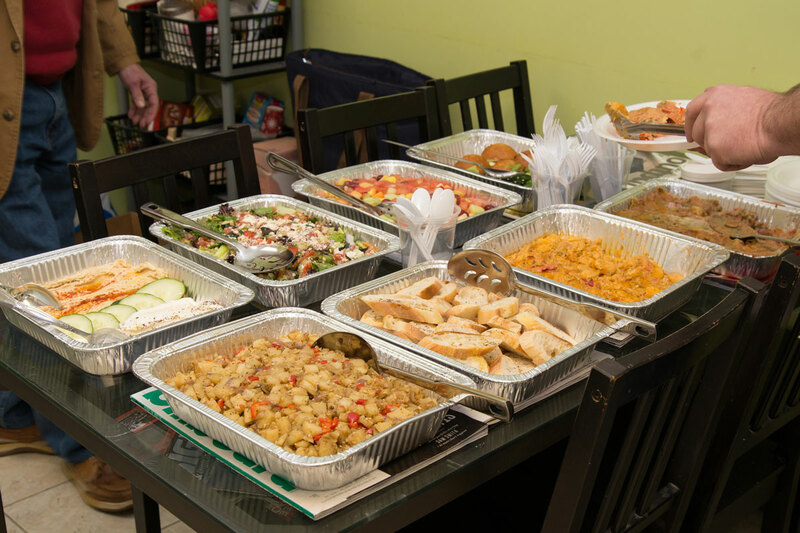 We then broke for an excellent lunch provided by member Raif Antar and his Basil Mediterranean Bistro. 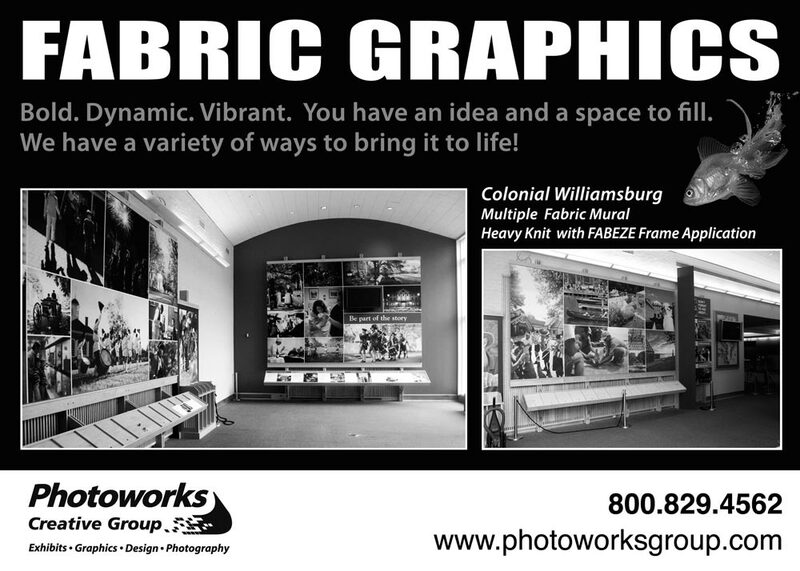 Unfortunately I had to miss a tour of the PhotoWorksGroup by Mike after lunch as I had a previous commitment. Being a long-term photographer I really hated to miss that opportunity. In retrospect, I am very glad I made the drive up to Charlottesville. I got to meet some great folks and am now really anxious for it to warm up so that I can start taking my car on some of the great things in store for the Shenandoah Region this year. Clint Shuler, the affable, low-key President of Porsche Club of America's Shenandoah Region, has been a Porsche man for three decades, although he also had an affinity for Pontiacs in his younger years and still enjoys NASCAR racing. "When I was in college and after, I was into muscle cars," Clint said. "I had a '67 GTO that I gift-wrapped around a telephone pole. Then I had a '65 GTO that I sold in pristine condition. I also had a 1970 1/2 Trans Am." "I always wanted a Porsche but never thought I could afford one. Then some guy at work wanted me to look at one with him. We both ended up getting Porsches," Clint said. That was in 1984. Clint bought a 1967 911S that he kept until 2012, finally selling it after a complete restoration. "I was in Richmond then and joined PCA FSR [First Settlers Region]. I dropped out in 1989 when my daughter was born." Clint and his wife Joy now live in Shenandoah, VA on a picturesque stretch of the South Fork of the Shenandoah River. They own a 2006 Cayman S and a 2009 Cayman S with PDK. Clint has a degree in Building Construction from Virginia Tech. 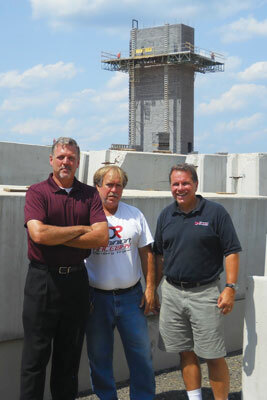 Since 1995 he has worked for Lantz Construction in Broadway, VA, where he is Vice President of Operations. His company specializes in commercial, retail, and industrial construction as well as construction, expansion, and renovation of public buildings. 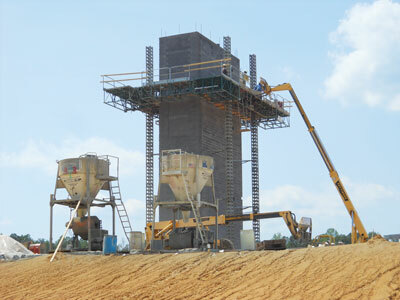 Past and current projects include the Institute for Highway Safety in Ruckersville, the Culpeper County Courthouse, Rockingham County Administration building, Bridgewater Volunteer Fire Dept., Churchville Elementary School, and buildings at the University of Virginia, James Madison University, and Bridgewater College. Located in the heart of the Porsche Club of America's Shenandoah Region, Clint reacquainted himself with the PCA and is one of Shenandoah's most active members. "When I first joined PCA [in 1984] I thought it would be for technical advice. Now it is for the DEs (Drivers Education) and the social aspects like Porsches and Pastrami," he said. After dabbling in autocrosses, Clint fell big time for the DE events at road-racing tracks. "I've done six DEs at VIR [Virginia International Raceway] and one on Summit Point's Shenandoah Circuit. I'm dying to try one at Dominion," he said, referring to the new multi-purpose track being built at Thornburg VA.
Clint is also a big fan of racing at the professional level, having gone to almost every NASCAR weekend at Richmond International Raceway. "I've had reserved tickets since 1978. I also like the Tudor [pro road racing] series and watch all the car stuff on TV," Clint added. When not driving one of his Porsches, Clint is an avid outdoorsman, enjoying canoeing, camping, and fishing. He also likes furniture making. When on the road, Clint has diverse tastes in music. "Alison Krauss and Led Zeppelin," he replied, with no hesitation. The queen of Bluegrass and classic rock — that's as eclectic as Porsches and Pontiacs. Clint said his goal as Region President is "Have fun, foremost. Have fun safely. I want to try to keep as many events as Sherry had," Clint added, referring to two-term Shenandoah Region President Sherry Westfall, now past president. It sounds like another busy year is in store for our club.